You’ve heard of the Marvel Cinematic Universe and all its box office fortune, but what about the Marvel games universe? It’s little more than a pipe dream at the moment, given Insomniac is fully focused on bringing Spider-Man to PlayStation 4. But similar to how Jon Favreau’s original Iron Man movie laid the foundations of what would become the modern MCU, there’s a real sense that September’s PS4 exclusive is the dawn of something great. Something truly special. Back at E3 2017, for instance, Marvel Games Vice President Mike Jones confirmed that the developer has established a “roadmap” for its future games – console and otherwise – so that each fan-favorite character is paired with a gaming experience that best suits them. So, naturally, Spider-Man is given the keys to New York for a big, bold and beautiful open-world title. In addition, Square Enix looks set to spearhead an untitled Avengers game as part of a “multi-year, multi-game partnership” with Marvel. Further details on the studio’s top-secret roadmap are being kept stowed away in the Marvel vaults. Be that as it may, let’s take that idea of pairing comic book characters with a gameplay template that best suits them and run with it. Because make no mistake, the industry giant is doubling down on its video game efforts – so much so, in fact, that Marvel’s Executive Creative Director Bill Rosemann wants that signature red splash screen to become a hallmark of quality. It was a shift in attitude at Marvel Games – let’s be a leader. When you see that red Marvel brick on a game we want it to mean the same thing it does when you see it on a movie poster or on a comic book. And with that in mind, here I present to you five comic book characters from the Marvel vaults worthy of their own video game adaptation. Let’s get to it. Thwip! Spider-Man makes a beeline for PlayStation 4 on September 7, and it’s shaping up to be very special indeed. 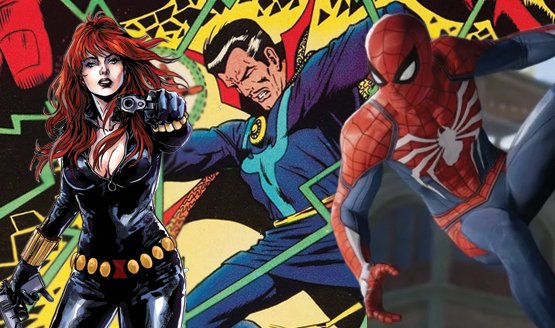 Is Spider-Man the Start of the Superhero Reign?